RENO, Nev.—Following the second of four races in the 2016 SCORE World Desert Championship, 57 of toughest racers in the world remain in the hunt to earn 2016 Red Kap SCORE Milestone Awards. 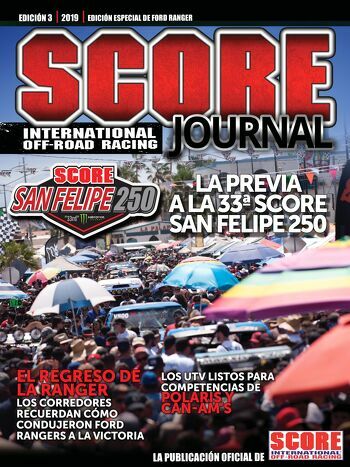 In early June in Baja California, Mexico, Round 2 was held at the SCORE Baja 500 that was run on a brutally rugged 477.52-mile course that started and finished in Ensenada on June 4-5. Leading the way in the chase for 2016 Red Kap SCORE Milestone Awards are three superlative stallions in the featured SCORE Trophy Truck division, seven in the unlimited Class 1, four in Trophy Truck Spec, six in Class 10, six in Pro UTV FI (Forced Injection), five in Class 1/2-1600, five in Class 40 (motorcycle riders over 40 years old) and four in Pro Moto Unlimited. With the most racers still in the hunt for the coveted awards is Class 1 for unlimited open-wheel desert race cars. The daring drivers who have covered every mile to date are Ronny Wilson, Long Beach, Calif. (No. 138, Jimco-Chevy), Scott Rueschenberg, Phoenix (No. 125, Tatum-Chevy), Brad Wilson, Long Beach, Calif. (No. 153, Jimco-Chevy), Derek Fletcher, Abingdon, Va. (No. 106, Tatum-Chevy), Al Torres, El Centro, Calif. (No. 114, Jimco-Chevy), Jaime Huerta Jr, Calexico, Calif. (No. 175, Racer-Chevy) and George Peters, Newbury Park, Calif. (No. 131, Racer-Chevy).